“Who’s got the Spirit?” “We’ve got the Spirit!” Last week was spirit week! 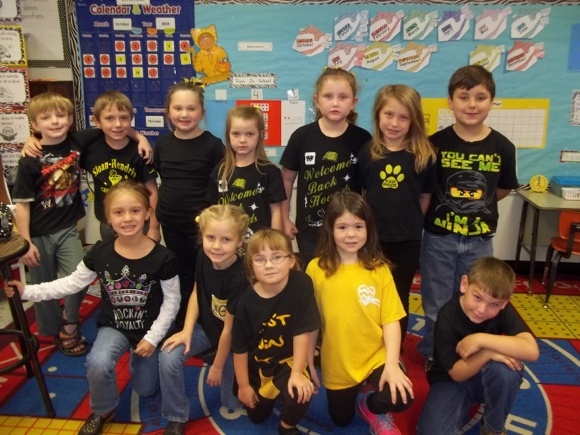 The kids go to dress up each day to show their school spirit! How exciting basketball season is here! Monday was red/Cardinal day,” Tuesday was “favorite sports team day”, Wednesday was “crazy outfit day,” Thursday was “black and gold day,” and Friday was “camo day.” It was hard to be serious Wednesday when the students dressed up for “Crazy Outfit Day.” I added a touch of silliness to each of my lessons that day, the kids loved it! Our read aloud for that day was “Don’t be Silly Miss Millie” and let’s just say my nickname for the whole day was Mrs. Millie! LOL! What a fun day! 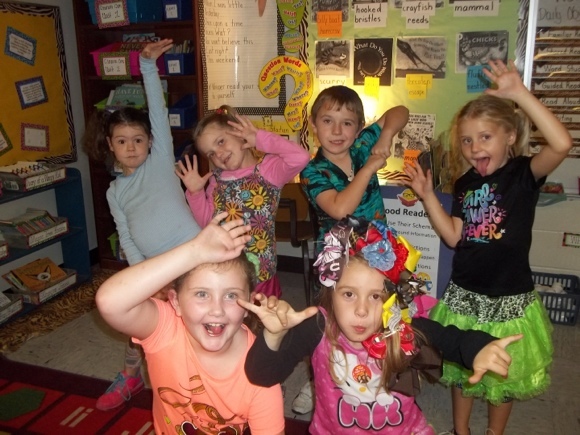 Those who dressed up for “Crazy Outfit Day” were Olivia Hale, Kayla Lawrence, Jacob Bradley, and Alyssa Gosha (back row), Lauren Jones and Emma Ward (front row).